Sebo Airbelt K3 canister vacuum cleaners with 12-inch power head and large 37 ft. cleaning range. Sebo K3 is light, compact, durable, and powerful with a air belt bumper system, integrated tool storage and easy bag changes. 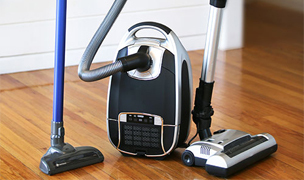 Vacuum ratings, reviews and comparisons. Reports by consumer experts. 60-Day Risk Free Trial for all Sebo Vacuums! The Sebo Airbelt K3 canister vacuum cleaners are for those who want Sebo quality and durability in a compact size. 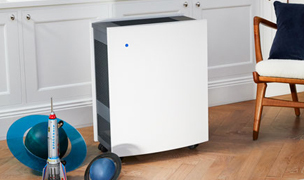 The Sebo K3's are compact and lightweight but offer full-sized cleaning power, a 37 ft cleaning radius, quiet operation, full-size accessory tools and a first class filtering system that meet the US HEPA standard for dust and particle filtration. 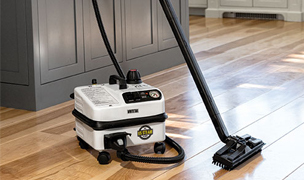 Standard with a 12-inch power head for deep cleaning carpets, parquet floor brush and 3 on-board tools, the K3 canister vacuum is a complete cleaning package. With excellent maneuverability and easy-to-change brushes, just snap on the tools and get cleaning! 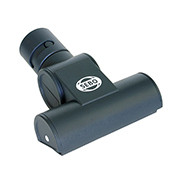 Includes SEBO's 7-yr warranty on motor, 5-yr warranty on parts and labor. See our entire family of Sebo vacuum cleaners. 60-Day Risk Free Trial – If you are not satisfied within 60 days of purchase date, you can return this product at no cost to you. 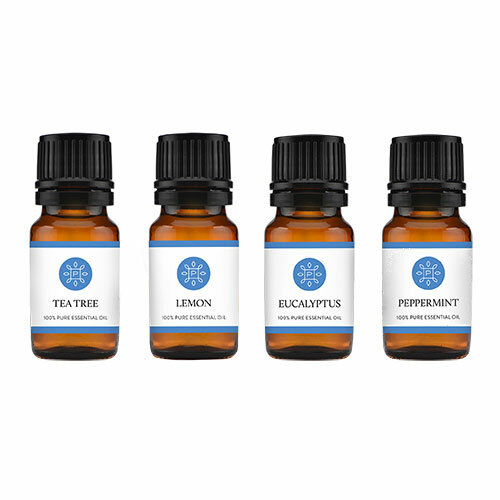 Just contact our Customer Service department within 60 days of purchase date for a full refund and Allergy Buyers Group will pay for all return shipping costs. 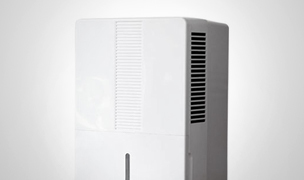 S-Class Filtration which is equivalent to meeting US HEPA requirements to filter out 99.9% of pollens, household dust, dust mites and other allergens as small as 0.3 microns in size. 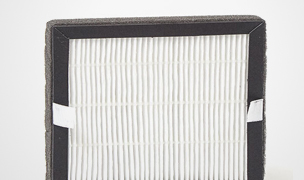 Three stages of filtration: Dirt is picked up and filtered through a 3-layer filter bag, then collected by the hospital-grade micro filter, and finally by the micro-exhaust filter. 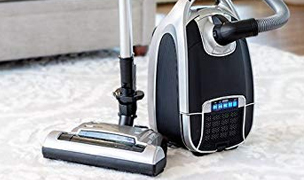 Easily accessible, full-size onboard tools: 3 tools are stored inside the vacuum canister for convenience - tools will not get lost or left behind in the closet with this feature; suited for dusting, corners, crevices and stairs. Ergonomic handle: designed and positioned to reduce wrist and arm fatigue, the K3 handle features swivel action and finger tip suction controls (K2's do not have finger tip controls or swivel). The K3 air belt canister vacuum cleaner is a great representation of Sebo's quality and performance, delivering full-size cleaning capability from a compact canister. Very compact and easy to maneuver with 3 casters that spin 360 degrees, a swivel handle and self-propelled power head. 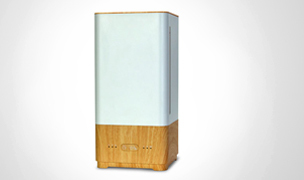 The K3's compact design is lightweight making it easy to carry up stairs and easily fits in a closet for storage. ET-1 power head demonstrates excellent suction and quality cleaning power on all carpet types with 4 carpet height settings. It has a green light to let you know it is on and an orange light will light up if you are on the incorrect carpet height for the floor type. 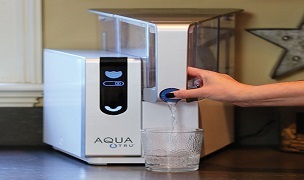 Suction adjustment and power off is at your finger tips for convenience. 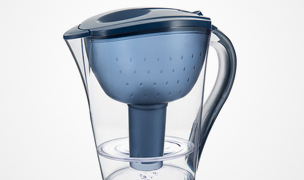 A variable suction knob and power on/off is also located on the canister. 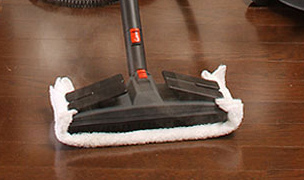 Strong suction power effectively deep cleans carpets and rugs. 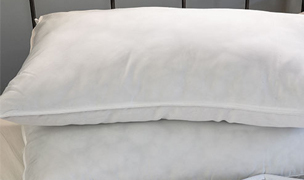 Variable suction controls allow you to reduce suction power to clean drapes or delicate rugs. All-around cloth bumper guards are the best of any canister vacuum and thoroughly protect your paintwork, corners and furniture from scratches, scuffs and chips. 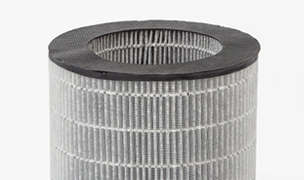 The K3's air belt design exhausts air around the entire vacuum through the air belt rather than just one section which helps reduce noise, and provide quiet operation. The K3 includes a full size crevice tool, a good quality triangular dusting brush and an upholstery nozzle and conveniently stores them onboard so they are always within reach when you need them. The crevice tool and upholstery nozzle are stored in integrated storage spots on the canister. 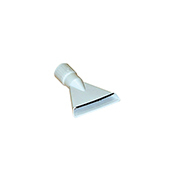 The dusting brush on this particular model is attached to the wand using a clip. 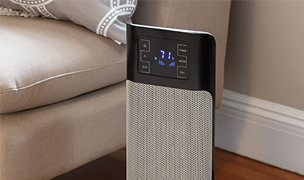 Sebo's S-class filtration and sealed design keeps dust and dirt particles inside the vacuum, maintaining good indoor air quality. 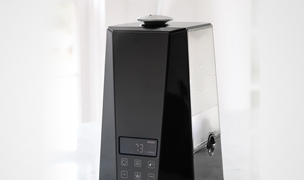 Due to its compact design, the K3 vacuum bags are small, only holding approximately 3 qt (0.8 gallons). 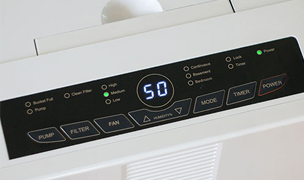 Unlike the vacuums that features automatic carpet height adjustment, the K3 requires the user to adjust the carpet height setting manually using the dial on the power head. Not hard to do but you need to bend down to adjust when going from carpeting to bare floors and back to thicker carpet. 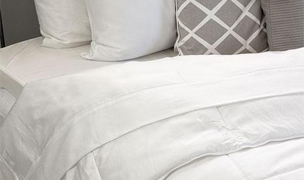 The thing we like best about the K3 series is its compact size which is lightweight and very easy to store in a closet when not in use. 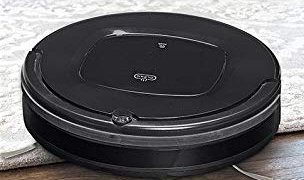 It also uses the same power head, bare floor brush and accessory tools as the full size Sebo canisters so it does not lack in cleaning power or versatility. We are very pleased with the ease of control and cleaning power of the ET-1 12-inch power head. 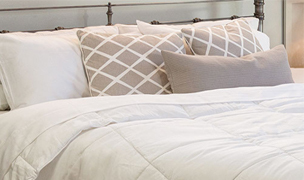 It has 4 carpet height settings to handle all types of carpets, but you have to adjust it manually which does not make it a seamless process if you have low and high pile carpets. However, the power head attempts to help make carpet height selection process easier by signaling with an orange display light if the incorrect carpet height setting has been selected. 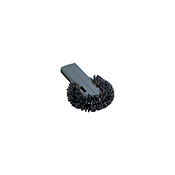 Switching from the power head to the parquet floor brush or any of the three on-board tools can be completed in a matter seconds for easy complete cleaning. 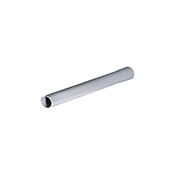 Vacuum bags and filters are also quick and easy to change. The vacuum bags are on the smaller size but that is expected on a small canister. We are very impressed by Sebo's accessory tools and are so glad the K3 integrates full size accessory tools as many compact vacuums have started to come with mini tools, less tools or combination tools which are not as good as full size accessory tools. The K3 comes with an 8" crevice tool which is actually stored onboard in an integrated spot. The upholstery tool has a standard design and is good quality with a designated integrated storage spot on the hood for safe keeping. 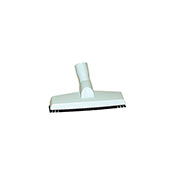 The dusting brush has a very efficient triangular design and is kept onboard using a wand clip which we are not as fond of, but are glad it can be toted along as you vacuum. The K3 is German made for quality and durability. 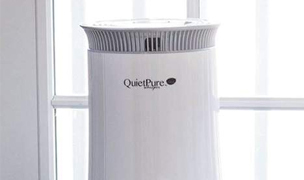 It has a sealed design and its S-class filtration system meets HEPA standards, making the K3 safe for those who sufferer from asthma or allergies. The K3 is a great choice for those who want a small vacuum that can tackle any type of carpet, rug or bare floor with ease. 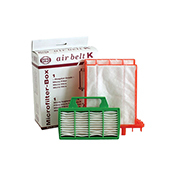 Includes 8 vacuum bags and 2 filters for the K series vacuums by Sebo. Item# 6695AM. 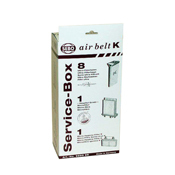 Upgraded pre-packaged complete replacement kit for your Sebo K Series canister vacuum cleaner. 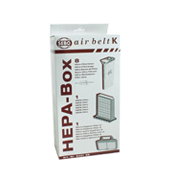 Includes 1 HEPA filter, 1 Exhaust Filter, and 8 ultra filter bag. Item# 6431ER. 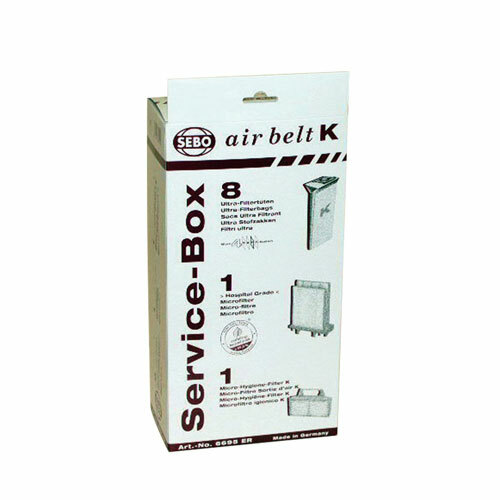 8 filter bags for Sebo K2 and K3 canister vacuums. Item# 6629AM. 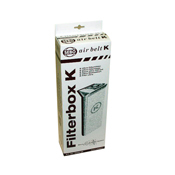 Includes 1 microfilter and 1 exhaust filter for Sebo K series vacuum cleaners. Item# 6696AM. 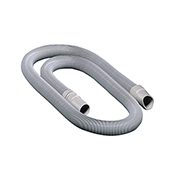 Attachment Set includes: 20' extension wand and 9-ft extension hose. Great for extended reach cleaning including stairs, furniture, drapery, and cars.